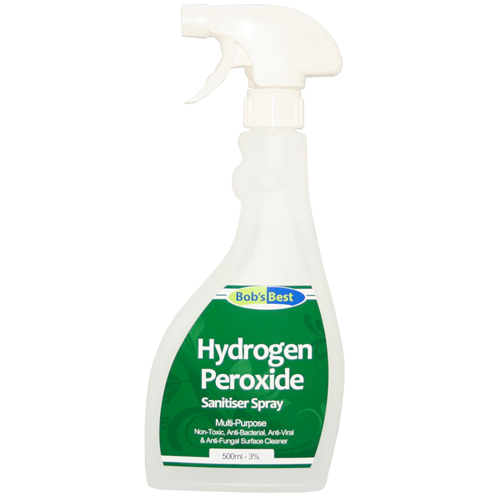 Hydrogen Peroxide (H2O2) breaks down easily into water (H2O) and oxygen (O). It is this oxygen that gives Hydrogen Peroxide its huge range of uses. 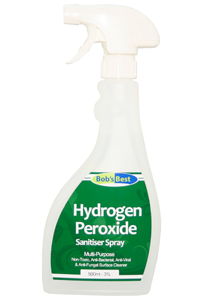 This handy spray bottle lets you use hydrogen peroxide as a cleaning agent in and around your home. PLEASE NOTE: for transit purposes, the spray bottle is supplied empty. A secure 500ml bottle of 3% peroxide is included for decanting.